Johan Ludvig Runeberg (1804-1877) was one of the founders of Finnish literature but he wrote in Swedish, which had become the standard language of the educated classes. Runeberg tells us that Otto von Fieandt could speak Finnish to his men, but that remark seems positioned as a further instance of von Fieandt’s likeable eccentricity; I think that is the only reference to the existence of a second language. Though his intensely patriotic vision meant nurturing in poem after poem a sense of the people as a whole community (traitors only to be excluded), it is ironic to reflect that many of the commoners he hymned would have been unable to understand his poems, or he theirs (e.g. the Kanteletar poems collected by Lönnrot). 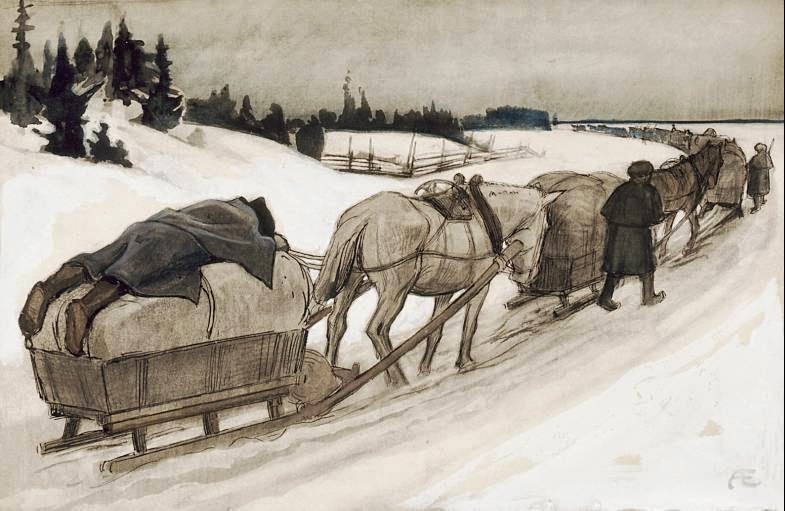 Runeberg, Lönnrot and Snellman (the class of 1822 at the University), were each in different ways preparing the ground for a Finnish nation, but it was a nation that was bound to suffer the consequences of a struggle between two languages. Runeberg’s cycle of poems has a cumulative impact. The army became itself the image of a united nation seen in its best light; in The Aged Lode, for example, the veteran campaigner’s inner boyishness combines a simple faith, military zeal, humanity to the stricken of both sides, and playful humour. It’s the civvies (pastors, for example), who Runeberg sometimes suggests may be less than humane; cold self-seekers, uncommitted to the common cause. When the doctor sweeps his medicines from the table in Döbeln at Jutas, he becomes a man. 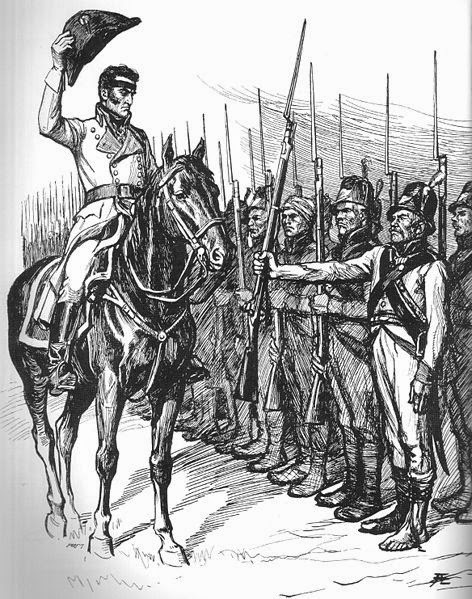 Runeberg’s idea of a nation (symbolized by the army) is inclusive. He finds room for the dim-witted (Sven Duva), the vagabond (Number Fifteen Stolt), the camp-follower (Lotta Svärd), the renegade eccentric (Otto von Fieandt), for aged veterans and untried youths. Runeberg is inspiring his readers, teaching them what to think and how to feel, but the emphasis is usually on warmth and comedy, not on austerity. It is a martial ideal, but also a civilized one. This tale you’ve heard me tell. But hide his name, then, as do I. Its weight be his alone. Son, father, kin or family. The civilisation comes out in the total exoneration of kindred; the unsparing zeal in the separation of the scapegoat. Coldly clasped unto the cold earth’s bosom. Sweeter far than love to die as he did. But this powerfully unsmiling poem of 1835, though Runeberg included it in Ensign Stål, is different in tone from the rest: its locale is much vaguer and more distant than the events of 1808, and this sanctions a ferocity that the author did not permit elsewhere. Many another poem celebrates death in the cause of one’s country, but the starkness of The Cloud’s Brother is modified by a change of focus; for example, Munter makes comic capital of its subject (a man of few words), or The Girl of the Cottage laments that her non-returning lover ran away from battle and did not die as she had supposed. Ensign Stål is a cycle with other intent than accurately recounting the war of 1808-09. Runeberg slightly idealizes it; his war is terrible but not obscene. He also artfully mixes up the chronology so we see the war in fragments, returning again and again to Siikajavi, Oravais, and Virta Bridge. These vivid glimpses permit the controlled release of shaped symbols; a chronological view would have emphasized the disaster rather than the heroism (and complicate matters by forcing attention onto such matters as the Swedish king’s failure to provide timely support). The magnificent triumph celebrated in Döbeln at Jutas is held at arm’s length from the “bloody rout” of Oravais, which in fact followed only a few days later; the shadow of Oravais, here, would have imposed unwanted complexities. Is it possible now, in peace, to truly resurrect the comradeship of war? A corporal in von Kothen’s regiment. And that which now is left concerns but me. Of mine, for every other hope was hid. If gratitude be there for what you did. I seek no favor, ask for no reward. That prayer a free man’s soul may still afford. To lead my men unswerving through the fight. Your strength upheld me in my own despite. The road to glory opened out anew. Giver of victory, my thanks to You! This is a Finnish seasonal cake typically eaten between early January and February 5th (Runeberg's birthday). The connection with Runeberg is that it appears in his wife Fredrika's recipe book. According to legend, Runeberg liked eating it for breakfast, along with a glass of punsch. 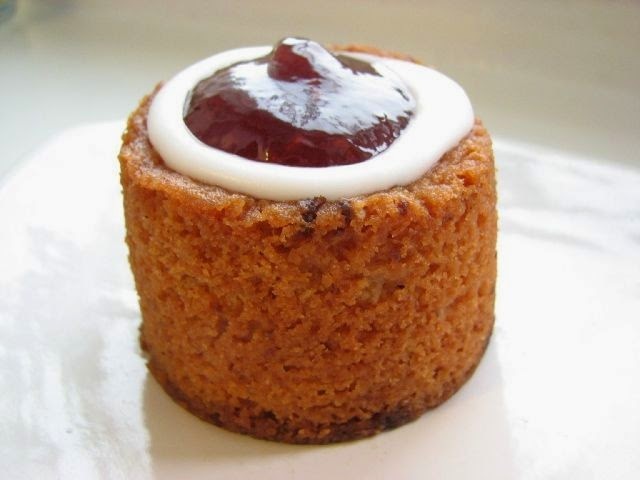 Runeberg torte is flavoured with arrack. Punsch, the Swedish "national drink", is flavoured with arrack too. Arrack is a strong SE Asian liquor. Its slightly surprising place in Nordic cuisine dates from 1733, when the Swedish East India Company began importing it from Java. 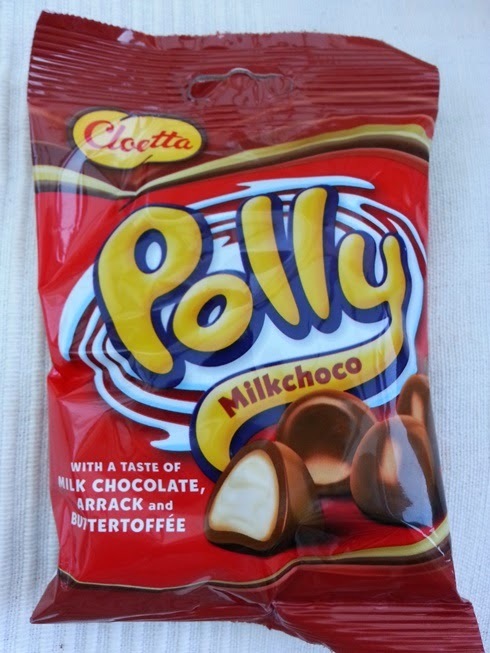 The taste for it quickly caught on, and persists to this day (as in the confectionery below).